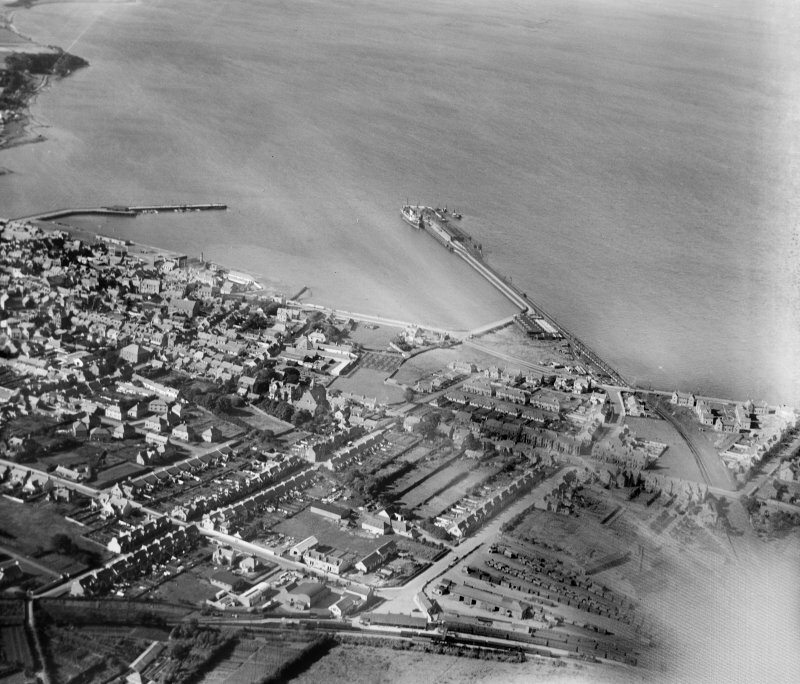 Stranraer, general view, showing Stranraer Harbour and Lochryan Street. Oblique aerial photograph taken facing north. A little further east of Bellevilla House, North West Castle figure 17: I, so called after its owner Sir John Ross who searched for the north-west passage, was built around 1820. 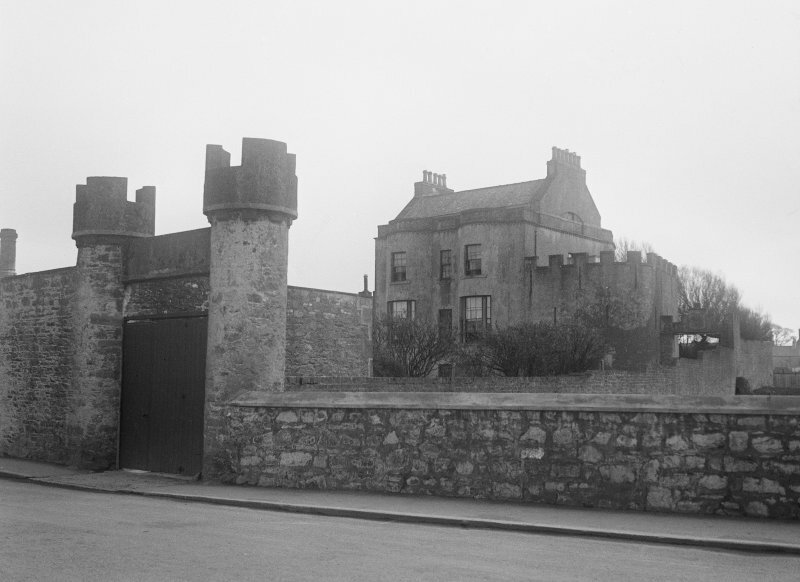 For some time during the nineteenth century it was known as 'Observatory House', perhaps after the camera obscura Ross had built on one of the towers. The lower windows of the house, on the north side, with their small opening panes for insertion of a telescope, and boat house door lintel still visible, are a reminder of the proximity of the sea before infilling in the nineteenth and twentieth centuries transformed this area. Information from ‘Historic Stranraer: The Archaeological Implications of Development’ (1995).